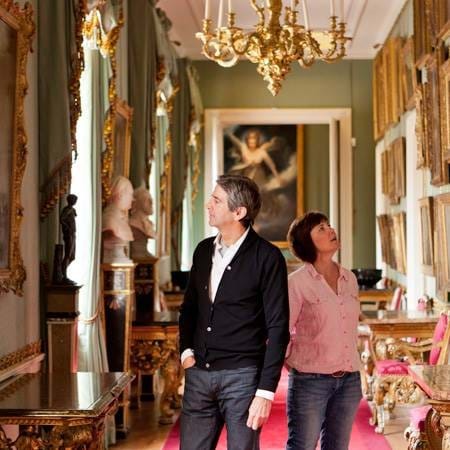 Treat yourself or a loved one to an experience to remember at Chatsworth. Fun experiences and activities for all the family to enjoy. 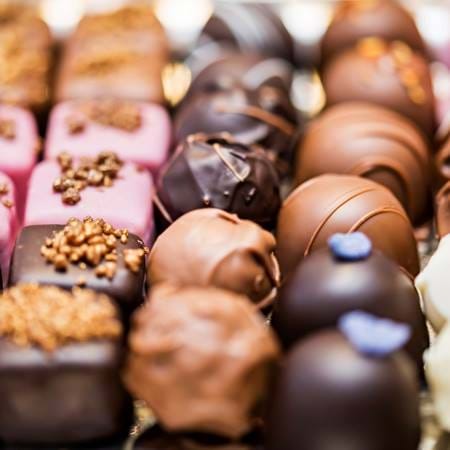 From a luxurious Wedgwood afternoon tea to delectable hampers filled with Chatsworth treats, we have something for every foodie. 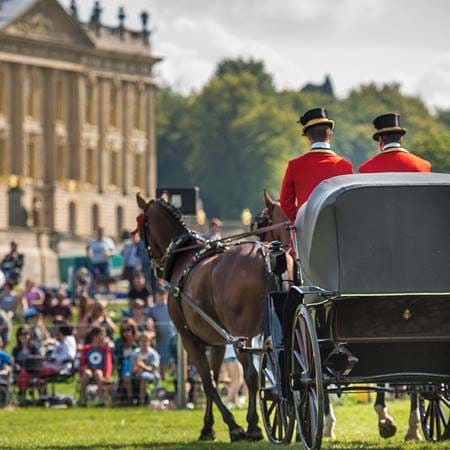 Illustrated talks and tours with insights into Chatsworth across the ages. Experiences for all green fingered friends, keen walkers and twitchers alike. Art of all kinds including paintings, ceramics, historical fashion and literature. From a house and garden visit for a couple to a fun filled day out in the farmyard for the littlest, our tickets are great for family and friends. Becoming a Friend of Chatsworth is a membership made for memories which includes unlimited entry to the house, garden and farmyard plus much more. With a packed programme of grand ring entertainment, a cookery theatre, fine food village and more, there's fun for all the family at the fair. Enjoy a 20% discount on all day tickets until 30 June. A three-day event of thrilling world-class equestrian sport, combined with entertainment for all the family. Book day tickets online for up to 25% off. 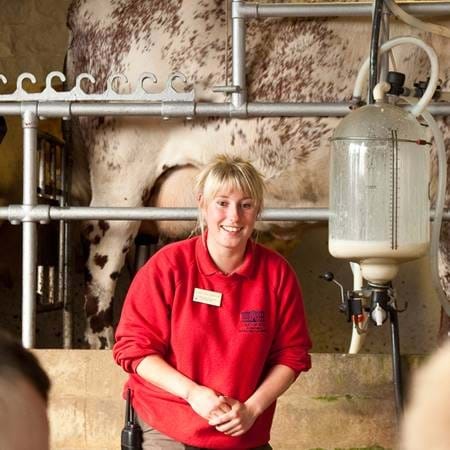 Join our farmyard team to help with their daily jobs. 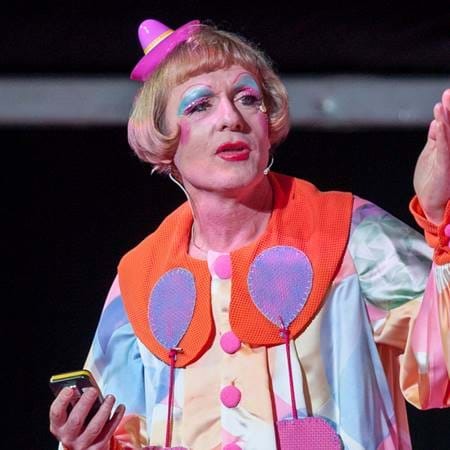 This event is suitable for children aged between 6 and 11. Children must be accompanied by an adult. Get hands-on in caring for our farmyard animals. This event is suitable for children aged between 12 and 16. *All vouchers purchased online are posted within seven days of purchase with a gift card for you to sign. Gift vouchers are now on sale for 2019, valid from 23 March - 31 October 2019. 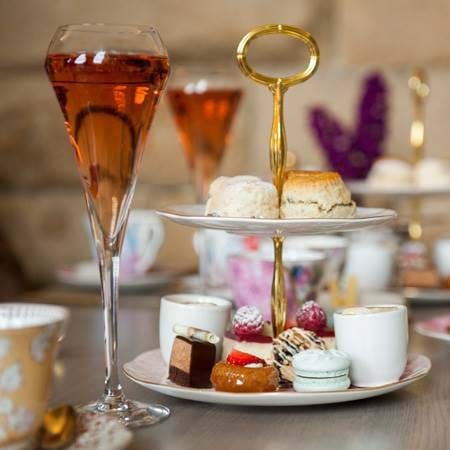 Treat a loved one to a delectable afternoon tea in one of our restaurants. 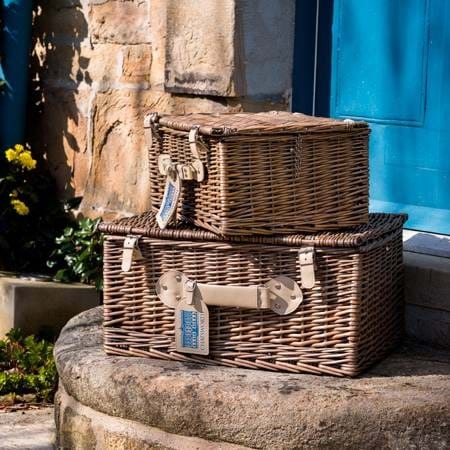 Explore our range of hampers and gift boxes, each and every one filled with Chatsworth treats that are sure to delight. *Now available to order online for next day delivery. 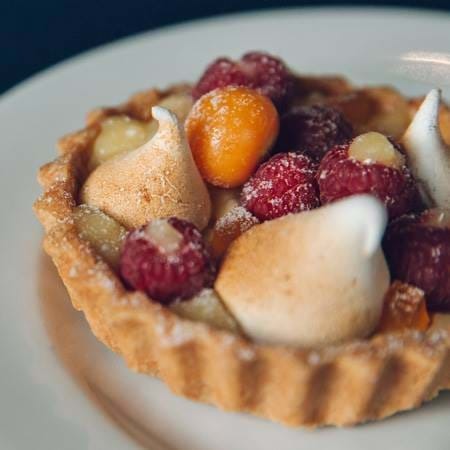 We have gift and afternoon tea vouchers available to buy; the perfect treat for every foodie. We have gift for every foodie in the farm shop also available is a range of Chatsworth Floristry bouquets. We are delighted to welcome the RHS back to Chatsworth in 2019. Bold and innovative, this year is set to be simple amazing. Take in some of the best views and discover fascinating stories as you are led by an expert guide on our seasonal park walks. A rare chance to explore and learn more about the SSSI in spring, summer and/or autumn led by Dave Spencer, Domain senior supervisor. 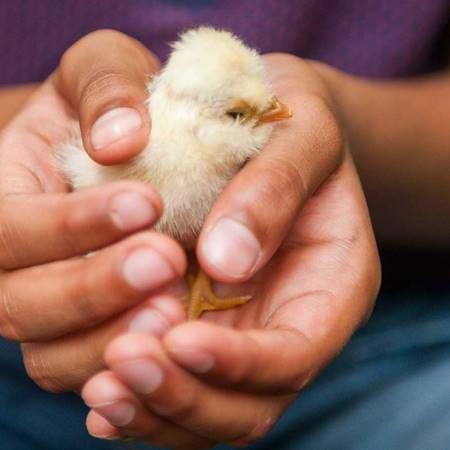 Whether you've always wanted to keep your own birds or just want a fun day out with a difference, this introduction to chickens with our Farmyard team is a great hands-on experience. An illustrated tour of the garden exploring areas of horticultural interest led by our Head Gardener. This event includes lunch in Flying Childers and entry to the house and garden. This is a great opportunity to learn more about the garden at Chatsworth and develop budding floristry skills. Natural history in the Chatsworth Library and archives. This event includes lunch in Flying Childers and entry to the house and garden. A guided tour of the garden learning more about plants and their uses and make your own handcream using plants. Spend the day with our experts and learn about the cutting garden, making a seasonal arrangement, with an estate farm shop picnic lunch. 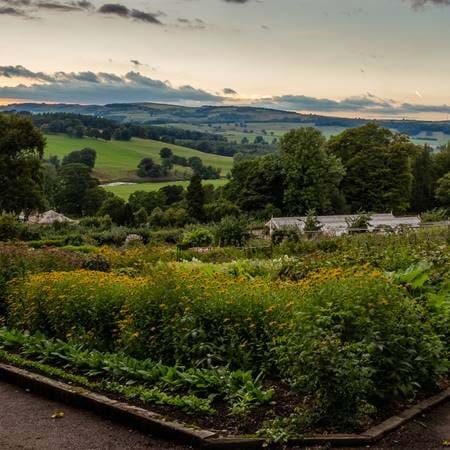 A walking tour of the Kitchen garden with the chance to pick seasonal fruit and vegetables and take some home. Take a tour with members of the Chatsworth team and discover some surprising secrets along the way. This experience includes lunch in Flying Childers and house and garden entry. An illustrated tour of the house with the Duchess of Devonshire and curator of The Dog exhibition, Alex Hodby. This event includes afternoon tea at Flying Childers and entry to the house and garden. More stories from 'below stairs' featuring an illustrated tour. Natural history in the Chatsworth Library and archives. This event include lunch in Flying Childers and entry to the house and garden. An illustrated tour led by our Curator of decorative arts focusing on the history of ceramic collecting in the Devonshire family. This event includes lunch in Flying Childers and entry to the house and garden. Discover more about some of the most important pieces in the The Dog exhibition during an illustrated tour led by our Curator of fine arts. This event includes lunch in Flying Childers and entry to the house and garden. An illustrated tour of the house followed by a talk with key pieces from the collection led by our Curator of decorative arts. This event includes lunch in Flying Childers and entry to the house and garden. 400 years of literary Chatsworth. This event includes lunch in Flying Childers and entry to the house and garden. Explore the conservation process of the Mortlake tapestries with members of our expert Textiles team. Explore your artistic side and take inspiration from the colours in the garden at Chatsworth. Join our expert Textile technicians for a guided tour of the most special textiles on display in the house with visits behind-the-scenes to our textile archives and conservation room. A dynamic weekend of culture, thought and performance from high profile artists to inspiring new makers, designers and stylists.